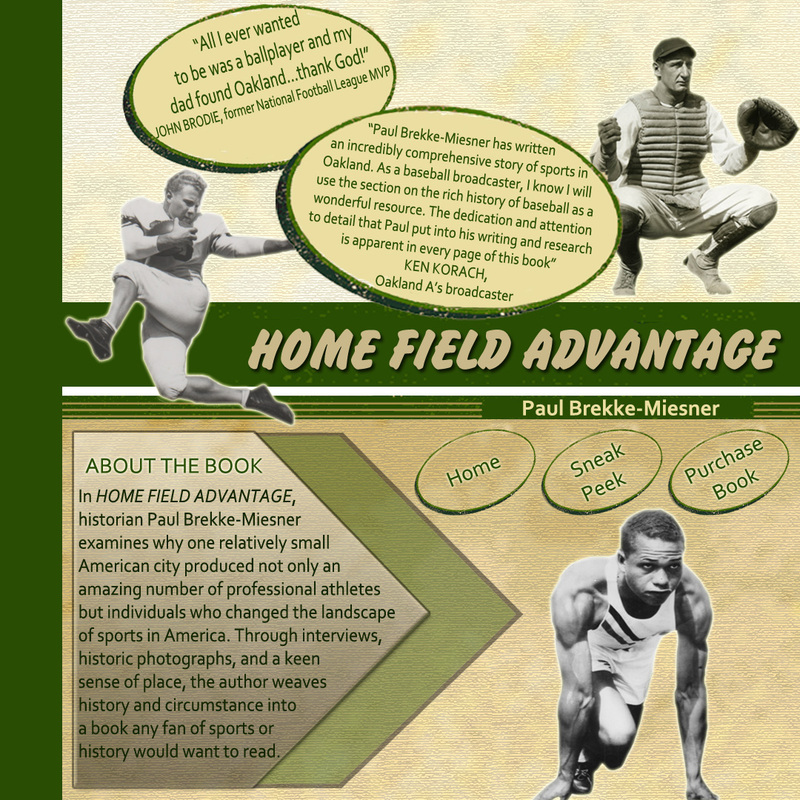 For as long as anyone could remember, Oakland Technical High School (Tech) did not have a convenient, home baseball field. In order to play or practice, the team had to travel over a mile and a half to a city field in poor condition. In 2006, an unexpected opportunity arose when the Oakland Unified School District (OUSD) decommissioned a nearby North Oakland school (the former Carter Middle School), freeing up a large former playground. Soon after, an informal, all-volunteer, community based group of involved parents, community leaders and neighborhood supporters formed the Field of Dreams Committee (FODC). FODC’s primary mission was to transform a long-neglected, mostly asphalt playground into baseball and softball/youth baseball fields. 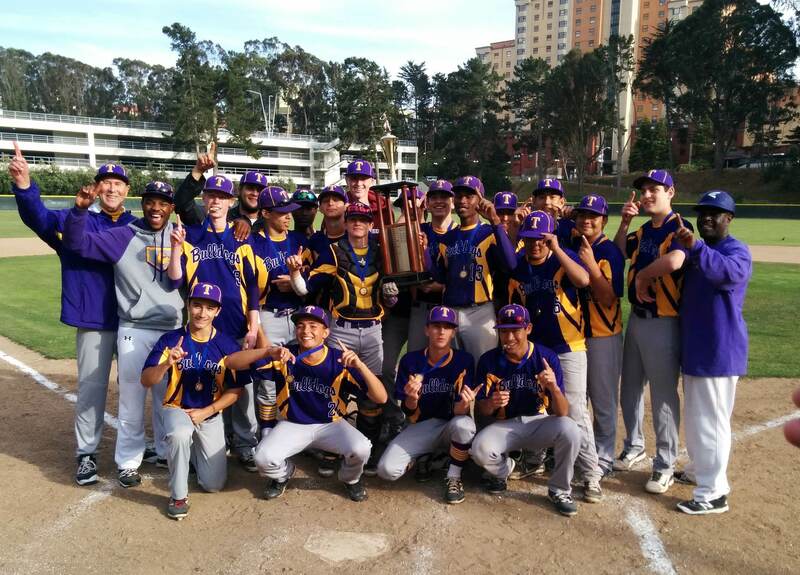 This grass-roots community effort began because parents, residents and Tech alumni recognized the critical need for a baseball and softball field to serve the local community–particularly “at-risk” teens–and OUSD’s and the City of Oakland’s inability to devote funds for this purpose. The fundamental goals of the FODC were to (a) provide a nearby home baseball field for Tech and (b) effect positive neighborhood change by providing accessible, satisfactory baseball and softball playing fields for local community youth. FODC’s construction budget to facilitate baseball being played on the Carter field space was approximately $350,000 –a relative bargain compared with construction costs for similar fields of this size/type, which typically cost 2-3 times as much. In-kind donations and “sweat equity” work by parents, players and community members significantly reduced actual cash requirements to complete the work. A number of big-ticket items were taken care of via in-kind donations from local companies, while others (sod, fencing, dugouts, infield mix) were obtained at very favorable rates from sympathetic vendors, and funded by a number of larger cash donations and grants. Less than a year after beginning the project, a community movement of coaches, players, parents, local city officials, businesses/merchants and local youth sports boosters finished construction of its local baseball “Field of Dreams,” and it was officially dedicated as Carter Field on April 1, 2008. Completion of such a high-quality field within such a compressed timeframe was a huge achievement, and its success has energized Tech and the local community. It demonstrated a new model of public/private cooperation and community partnership, and has provided a common venue for several baseball/softball leagues in the Oakland community, including Tech’s baseball and softball programs, youth baseball leagues such as North Oakland/South Oakland Little League (including Juniors & Seniors Divisions and Challenger Division for physically- and mentally-challenged youth) and Babe Ruth League (including Buddy Ball for physically-challenged youth). 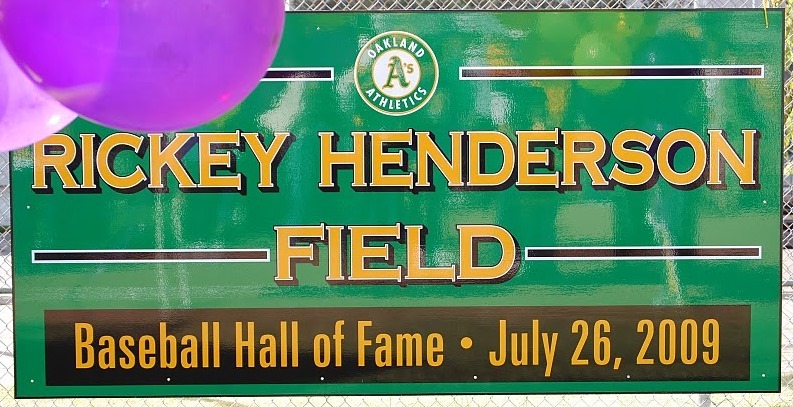 The project’s achievement gained additional recognition and standing in the community when, on October 3, 2009, the field was officially rechristened after one of Oakland Tech’s most famous graduates–Rickey Henderson. 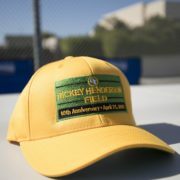 Mr. Henderson, who attended the October 3rd rededication ceremony with his family and close friends, gave a speech about what the new “Rickey Henderson Field” meant to him and the community: Maybe now, he said, local youths might become more involved with baseball, allowing them to pursue and realize their own dreams much as a teenage Rickey Henderson did so many years ago. In March 2010, Oakland Field of Dreams received an IRS Notice of Determination, officially confirming OFOD’s tax-exempt status as a 501(c)(3) organization. 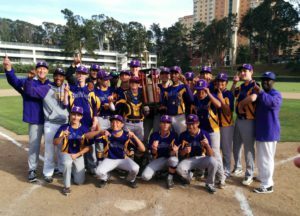 OFOD intends to continue to raise funds to upgrade and maintain Rickey Henderson Field to a level appropriate to host regular high school league and tournament games. OFOD is poised to carry forward and expand FODC’s original vision and responsiveness to the community. Needed improvements include drainage, irrigation, re-grading, landscaping, completion of the warning track, and installation of batting cages, additional bleachers, scoreboard and lights. OFOD intends to realize the building/installation of such improvements, along with raising sufficient funds to maintain the field by hiring specialized service providers for frequent, scheduled maintenance–at a cost of approximately $15,000 per year (OFOD’s intent is to set aside this minimum amount annually for ongoing maintenance). 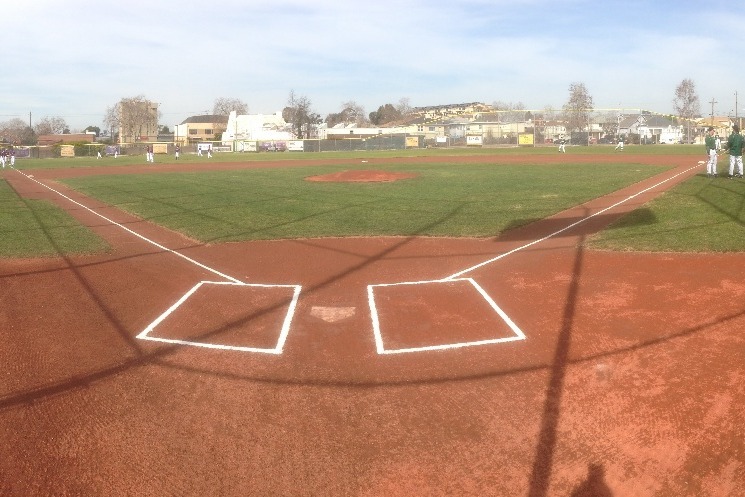 Beyond basic maintenance, any excess funds raised would go toward (a) long-term improvements, including possible construction of an adjoining girls’ softball field and (b) maintenance and/or improvement of other, existing youth baseball and softball fields in Oakland. 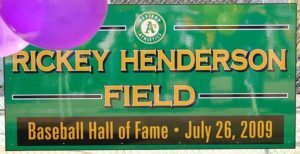 Rickey Henderson Field is already being heavily utilized by Tech and the surrounding community, and our challenge is to ensure that Rickey Henderson Field is properly preserved and maintained in perpetuity for its many public benefits. Enhance credibility within the local community, with OUSD, City of Oakland and with third-party charitable foundations and other organizations, to attract grants and donations going forward. 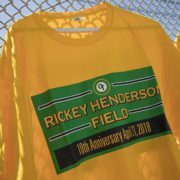 As a freestanding charitable entity, OFOD intends to create a long-term plan for Rickey Henderson Field and other eligible youth baseball/softball fields in the community, including identifying and setting priorities for maintenance and improvements, and planning a sustainable fiscal development program through fundraising campaigns, grant applications, etc.